I NEED TO...remote-control any PC or Mac anywhere. 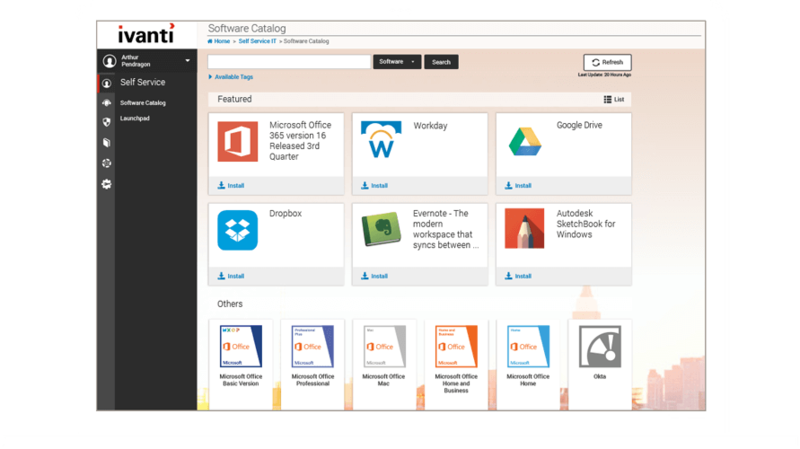 Manage all user devices with Endpoint Manager. Three pretty good reasons to give us a look. Imagine a single network engineer tasked to resolve issues at 20 schools in a school district by hand. Or an IT staff averaging 750 service tickets per month and providing technical support manually. That means more travel, more hassle, more time, and more cost. 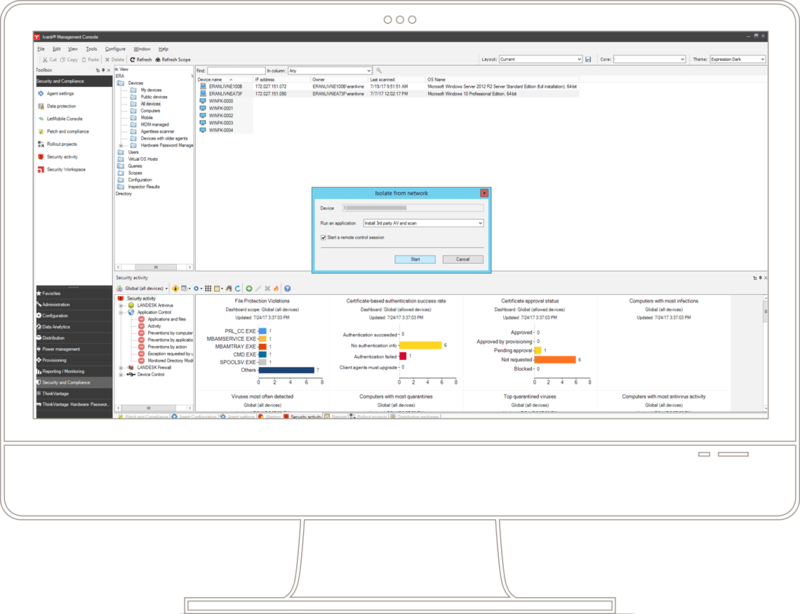 With remote control you can analyse systems, resolve problems, and reduce desk-side visits. You can control nearly any desktop remotely from any device with secure, browser-based access—and support users anywhere on demand. Why travel 30 minutes for a five-minute fix? Eliminate drive time to each location, limit desk-side visits, and save thousands of hours and piles of money. Resolve issues while communicating with users. Sometimes the best way to help is to educate. Use tools to chat, draw, or demonstrate. Users know when the right IT person connects to their device and takes over. Sessions are encrypted and logged for auditing follow up. Control remotely through any device—your PC, tablet, or a smartphone—via an HTML 5-enabled browser. Handle issues effectively without leaving your desk. It adds up to thousands of hours saved. Users of IT services are in the driver's seat, which means IT departments must satisfy growing expectations of workers while continuing to safeguard the enterprise network. Being able to support users through remote-control capabilities goes a long way in meeting expectations and improving service and support efficiencies. Discover the key features of remote control that thousands of organisations put to good use every day. Provide support through any HTML 5-enabled browser. Use a larger tablet while on the go or log into a computer anywhere to perform maintenance on a user’s PC or Mac anytime. The viewer doesn't require additional software or plugins and there's nothing to uninstall afterwards. All remote-control data used to control users' machines remotely through the Cloud Services Appliance is encrypted without using a VPN. Meets security standards like FIPS 140-2. Open a chat window, transfer files, launch applications, run programmes on the machine, or reboot the machine when necessary. Centralised reporting and auditing information about each remote-control session provides added safeguards. Role-based administration ensures that IT administrators can only remotely control the machines of workers they're assigned to manage. Users know when their machines are being controlled remotely and who is controlling their device. Use chat and drawing capabilities while controlling users’ machines to convey how issues can be resolved. Drawing tools enable you to point at objects, draw freehand, and highlight specific screen areas.